Spring is in the air, sports are getting started, and kids are getting ready to put on their helmets. Helmets and hats are easy ways for lice to spread quickly, but it doesn’t stop there. Once one child on a team has lice, they quickly spread to the rest of the members of the team. So it is essential to do everything possible to help our children to avoid catching lice in the first place. By paying attention to a few details, we can put an end to lice outbreaks. During the spring, baseball, softball, and tee-ball are all in full swing. 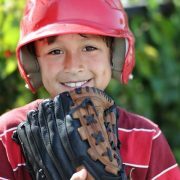 It doesn’t matter if your child is playing in the outfield or pitching up a storm; they will be wearing a hat or a helmet. Lice are surprisingly resilient and can survive for around two days on different surfaces. If there is a child on the team with head lice, sharing their equipment could easily cause others to catch lice. The best way to avoid this is by simply not using helmets and hats used by teammates. When your child is getting ready for a game, it is common to get ready with the other kids. That means getting into uniform, looking over plays, and for female athletes, putting their hair up. Sharing brushes is one of the most common ways that head lice can be spread. Avoid catching lice this spring by making sure that you bring your combs, brushes, and barrettes. At the beginning of a game, after a break in the action, or during a substitution, huddles are everywhere in sports. Your children could be rubbing their heads against each other unknowingly catching lice. As soon as their heads touch, lice spread from player to player. It isn’t practical to avoid huddles all together in sports, but you can warn your kids to avoid catching lice by not making head-to-head contact. Away games are always exciting for children taking a trip with their friends. These experiences are amazing, and we want to make sure that they are enjoying their trip and their game. However, it will be hard for your child to enjoy anything if they have itchy head lice. The best way to avoid catching lice is to ensure that your child is using their own clothes, towels, hats, and pillows while on a team trip. Being safe is better than being sorry. Even if there has not been a lice outbreak on your child’s team, it is important to keep their items clean. Take extra care to make sure that their sheets, pillowcases, combs, and everything else are clean. There may be no need to worry, but it doesn’t hurt to make sure. Even after following every step closely, some children will still catch head lice. It’s hard to avoid for adults and even harder for children. If your child does have lice, come down to Fresh Heads, and for our safe and effective head lice treatment. A head lice outbreak in your family is the last thing you want to worry about. With school break coming up and kids spending more time with friends, the increase in the number of head lice cases can plague families. It’s important to understand how this happens and what to do when faced with head lice. Here at Fresh Heads Lice Removal, we are dedicated to providing information and offering solutions. A noticeable aspect of lice infestation is that during warmer months, head lice outbreaks spike. Warmer weather gives lice an ecosystem where they are breeding and thriving. Spending more time with friends, family, and playing sports can increase the possibility of an outbreak as well. It is essential to understand how to avoid this unpleasant infestation. 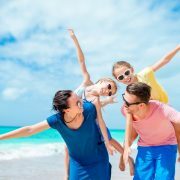 Taking a vacation, spending the night at a friend’s house, or sharing a bed are all factors that can spread head lice. While the only way to contract lice is through direct contact, it can be easy to overlook specific actions. Adults and children alike should avoid sharing pillows and blankets to reduce the risk of an infestation. To make sure that you do not have head lice, you can come by Fresh Heads Lice Removal for a checkup. Fresh Heads Lice Removal is here to offer treatment, follow-ups, and consultations to free you and your families from an infestation. With our award-winning, innovative treatment center, Fresh Heads is ready to bring relief safely and quickly. 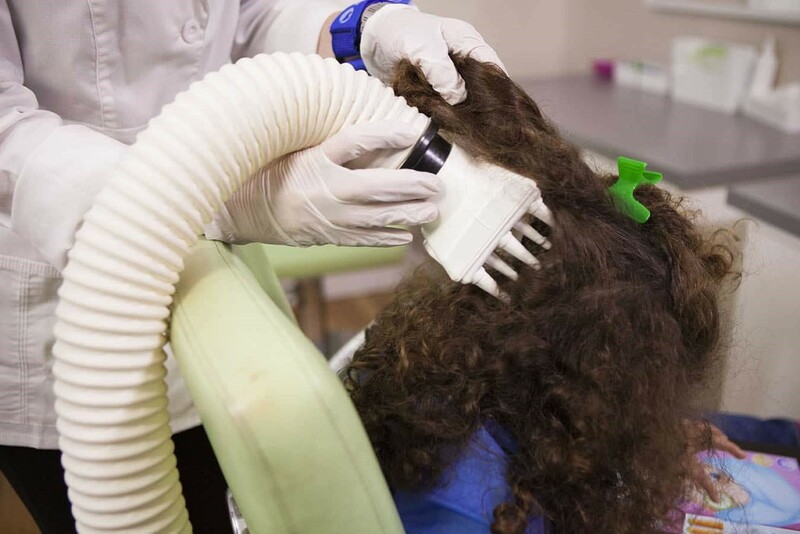 The most effective way to rid your hair of lice is using our FDA cleared medical device. By dehydrating the lice and eggs in one treatment, you’ll be on your way to a clean head of hair in no time. You and your child should be able to continue your normal life quickly. Contact us or visit our website to learn more. We are here to help! Head lice can happen when we least expect it, but little girls with longer hair are far more vulnerable to catching the unwelcomed critters. If lice have made their way throughout your daughter’s school or social circle, the hairstyle you choose for her can help keep her hair stylish, neat, and pest-free. Below is a list of hairstyle options that can help reduce the risk of catching head lice. Ballet Bun. The sleek and classic ballet bun is ideal for little girls who have a high risk of exposure to head lice. The smooth and elegant appearance of this hairstyle allows you to control virtually all stray hair. French Braid. For girls with shorter hair, you may want to consider a beautifully orchestrated French braid. The style is a gorgeous and classic solution for untamed hair or fly-away stands. Headband Roll. Give her a simple touch of Hollywood charm with the headband roll hairstyle. This sweet and simple style gives the appearance of a classy updo without as much work or upkeep. Messy Bun. The messy bun is a cute yet simple go-to-style. It is fresh and fashionable and better yet, keeps hair isolated. This hairstyle has been on trend for years and shows no signs of going out of style due to its versatility and compatibility with most hair lengths and hair types. Lice are unable to jump from one head to another. However, loose strands of hair are more susceptible to contracting lice. If a pesky infestation of head lice has found its way to your little ones, give us a call immediately. Fresh Heads is your one-stop shop for the diagnosis and treatment of head lice. 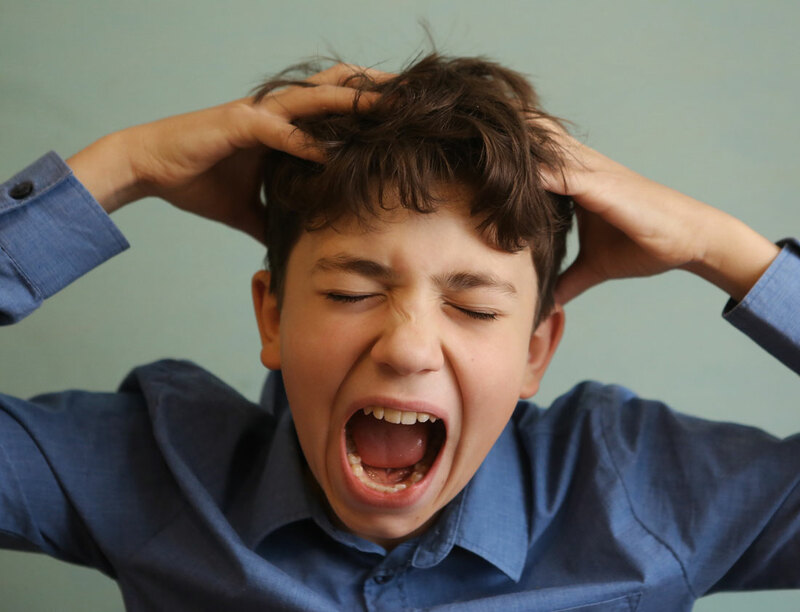 Most parents are all too familiar with the anxiety that discovering head lice in your household can cause. Especially if you’re not sure where the pesky critters originated, you wait in dreaded anticipation of where they may strike next. You may even ask yourself: How safe is the dog? Did the kids catch lice from the cat? 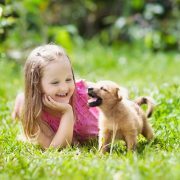 The last thing you need while treating your child is for your pets to continue spreading it back to them. After all, they are best friends, and best friends are known to share. Parents, you’re in luck! The probability of your child catching lice from the family pets is slim to none. Lice are species-specific; meaning there are lice that only infest dogs (Trichodectes canis and Linognathus setosus), lice that only infest cats (Felicola subrostrata), and yes, lice that only infest humans (Pediculus humanus capitis). These insects are species-specific to the extent that they literally cannot survive on the blood of a different host species. It also means that dogs and cats are unable to carry or distribute eggs of human lice. So, if your child has been sent home with an infestation, there is no need to scold the family pets. Lice are an unwelcome, social nuisance but, are no indication of lack of hygiene or neglect. Although lice are not a serious medical threat to children, it’s embarrassing and carries a shameful stigma. Do not attempt to remove any attached eggs from your clothing, bedding, or furniture, yourself. This could lead to further spreading throughout your home. Since lice are species-specific, your pets are not at risk of catching lice from your children. As for their risk of dog or cat lice, although pets are susceptible, it is uncommon for household pets to get lice. It is mainly found in pets without proper shelter. Animals that are either very young or very old, or in poor health, are most at risk of infestation. A lice infestation is an annoyance every parent wishes to avoid. At the first symptoms or sightings of lice, call Fresh Heads Lice Removal, for the safest most lice treatment options. 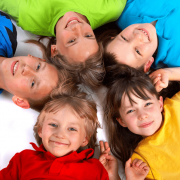 Our goal is to rid your child from irritating lice and offer ways to prevent future outbreaks. Visit our website to learn more about our environmentally-friendly products. Fresh Heads provides consultations for removing lice from your home during an infestation. https://freshheadsliceremoval.com/wp-content/uploads/2019/02/dreamstime_xxl_115999931-min.jpg 4332 6499 FreshHeads https://freshheadsliceremoval.com/wp-content/uploads/2018/04/FH_LCA_Logo-1.png FreshHeads2019-02-08 15:18:052019-02-25 15:44:03Can My Kids Get Lice from Our Pets? Lice require head to head contact in order to spread. So the critters can’t jump from one person to another, and even wearing hats and clothes used by those who had lice isn’t a major risk. For kids, head to head contact can involve playing with lice-infested peers, huddling together, or dozing off in close proximity with them during sleepovers or afternoon naps. Sit the child in a brightly lit room. Spread his or her hair apart and look at the scalp to find lice and nits. Lice eggs, called nits, are tiny white or cream-colored and oval-shaped, like beads, and are attached to the hair at their base, near the scalp. They can be mistaken for dandruff or dirt. If it’s easily removable then it’s probably not a nit. Comb through the hair in small sections, systematically, to find and remove lice or nits. If you find lice and nits, check everyone else in the house to be sure the infestation hasn’t spread. Over the counter medications usually involve harsh chemicals that have alarming side effects. Moreover, we now have Super Lice, which are drug-resistant and can’t be killed by OTC head lice treatments. This is why Fresh Heads Lice Removal stands by AirAllé— The Best Way to Get Rid of Head Lice. It is a completely non-toxic, FDA-cleared and science-based method that kills lice and eggs using heat, air flow, time and technique – dehydrating lice and ending infestations. No more wasting time and money on ineffective OTC treatments or messy in-home mobile lice services. What about Natural Treatments and Home Remedies? The herbal route avoids the dangers of pesticides, but these concoctions mainly repel lice and don’t do much when the buggers are already on the scalp. They’re not very good at killing them and do nothing to kill nits. Home remedies, on the other hand, are unproven and unreliable. Hair dyes are ineffective. As are hair straightening treatments. If someone has an infestation, wash their clothing, towels, linens, hats, etc. in hot water and dry them in high heat. It is very unlikely that lice will be spread by bedding, clothing or linens, but it’s better to be safe than sorry! Unwashable items can be stored in sealed plastic bags for a couple of weeks, which will starve lice to death. Finding head lice doesn’t mean the holiday festivities have to stop! At Fresh Heads Lice Removal Clinics, we can take get rid head lice and their eggs in a single, chemical-free treatment with no follow up necessary. Don’t waste your time with over the counter treatments or sit around waiting and hoping a mobile lice treatment service will actually show up on time just so they can take over your kitchen or living room for hours. If you find lice call Fresh Heads today and we’ll have you back sipping eggnog and eating gingerbread cookies in no time. So may you and your family have a very merry and lice-free holiday season! The CDC reports that 6 million to 12 million children in the U.S., from ages 3 to 11, get head lice every year. Worse yet, chemical-based methods of lice removal are becoming less effective, as Scientific American’s article on the Revenge of the Super Lice says that: “Overexposure to insecticides has bred resistance in the parasites, making it harder than ever to treat infestation.” So the best way to beat the little critters is to prevent head lice in the first place. Direct head to head contact with a lice-infested person is the primary way lice is spread. So warn kids to avoid that kind of contact while they’re playing, especially if they know that a friend has head lice or it has been found at their school. No one can tell at first glance who has lice, though, so it’s better to be safe than sorry. Check on your kid once a week or so to see if there are any signs of infestations. It can take up to 6 weeks for the itching to start, so don’t wait for that. Look for nits, lice eggs attached to strands of hair. Particles that are easily removed are probably dandruff or lint. Nits are glued to the hair shaft at the base and are not easily moved or removed. Lice especially favor the back hairline and behind the ears. Early detection is essential for early treatment. It can help prevent head lice from spreading to other kids at school. Click here for a video tutorial on how to check for head lice. It’s Very Hard to Get Lice by Sharing Clothes, Hats, Etc. It is actually uncommon for lice to transfer to another person by sharing clothing, hats and other attire with someone who has lice. It is also extremely rare for lice to be spread via combs, brushes, towels, bedding, carpets, pillows or couches. With that said, it’s still a safe practice to avoid sharing such items like this with someone who has lice. It’s not a major risk, but it can happen. Items that have been in contact with lice-infested individuals can be disinfected simply. Combs and brushes can be soaked in hot water for 5-10 minutes. Clothing can be machine washed with hot water and high heat drying cycle. Worried about a head lice outbreak? Broach the subject with your Parent-Teacher Association, talk about it with teachers or nurses. Prevention is made much easier when others are in on it, especially if they can educate the other kids on how to avoid head lice. The risk of infestation can drastically go down when everyone’s involved. Parents who know their kids have lice might be ashamed to bring it up or ask for help from the school nurse or other parents. Affected kids themselves might feel ashamed about it and hide their symptoms as long as possible. So it’s important, especially for children, not to look down on those affected with head lice or treat them badly. Those with infestations shouldn’t think less of themselves either, since it’s a treatable condition that nearly everyone goes through in their life. Being open about the subject will help prevention and make it easier for those affected to ask for the treatment they need. If you don’t detect any lice, then you’ve done a good job at prevention. But if you detect any lice or nits, call Fresh Heads today to schedule an appointment. We remove lice and their eggs in about 90 minutes, guaranteed, with our FDA-cleared, 100% chemical-free AirAllé machine! What is the Best Lice Treatment? There are all sorts of lice treatments floating around out there, but which is the best? It can be difficult to choose between pesticide products, herbal products, or even physical treatments. The best lice treatment has to be both safe and effective. 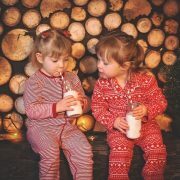 Something that you and your child can confidently use without worrying about repeat infestation or nasty side effects. So out of all of the options available, which is the best lice treatment? Insecticides were first introduced in the 20th century as an alternative way to treat head lice. Unfortunately, lice are very quick to adapt. This has led to pesticide resistant lice, also called super lice. These super lice have spread to 48 states, including Georgia and Florida! They have at least three genetic mutations making them resistant to most over the counter treatments. Besides the growing ineffectiveness of pesticides, these products are also potentially dangerous. Many contain pyrethrin and pyrethroids, which are commonly used in bug sprays like Raid. Extracted from chrysanthemum flowers, these chemicals are potentially dangerous. They have been proven to be carcinogenic and even neurologically damaging when absorbed by the skin! With all the dangers of pesticides, it might seem much more appealing to go the herbal route. The problem is that herbal treatments function mainly by repelling lice. They aren’t the best lice treatment because they are less effective at killing lice. Not only that, but they leave the nits, or eggs, intact. Herbal remedies are most effective when combined with other methods. They can be used to help prevent future infestations, but they are not effective at killing lice and their eggs if you have an infestation. Is AirAllé the Best Lice Treatment? The AirAllé treatment is a completely chemical free, all-natural head lice treatment that has proven to be the most effective. Not only does it kill head lice, it dries out and destroys their eggs to prevent the infestation from continuing. The process is simple. Heated air is used to dehydrate both lice and their eggs. The efficacy rate of this method is almost 100%. Usually taking about an hour, it is much quicker than most other treatments. This is especially true when you consider the fact that most other methods require follow-up treatments! The AirAlle treatment is the best lice treatment available to parents. You don’t need to resort to dangerous chemicals or ineffective home remedies to get rid of lice. At Fresh Heads Head Lice Treatment Centers, we have trained professionals that can help you. If you are looking for the best lice treatment in Savannah, Orlando, Jacksonville, or Jacksonville beach, Call us today to schedule your appointment! https://freshheadsliceremoval.com/wp-content/uploads/2018/06/a-girl-receives-the-best-head-lice-treatment.jpg 899 1348 FreshHeads https://freshheadsliceremoval.com/wp-content/uploads/2018/04/FH_LCA_Logo-1.png FreshHeads2018-06-22 12:15:122018-10-02 12:01:40What is the Best Lice Treatment? It can be a scary thing to discover you or your child are the victim of a lice infestation. It might seem impossible to rid your home of these annoying pests. You might even be tempted to risk exposure to harsh pesticides and treatments just to get them out of your home. Getting rid of head lice doesn’t have to be a nightmare, though. Here are the three secrets to effective head lice removal. It isn’t necessary to expose yourself to toxic pesticides to get rid of lice. You also don’t have to go it alone. While it might seem tempting to go for an over-the-counter treatment, they can come with serious risks. Some include chemicals that are found in pesticides like Raid! These chemicals have been found to be carcinogenic and are linked to neurological disorders in younger children. Our signature AirAllé treatment is a chemical-free process that works by drying out the lice and their eggs. This kills all of the bugs and prevents new ones from hatching without subjecting you or your child to dangerous toxins! After a successful lice treatment, it’s important to safeguard yourself and your family against further infestations. Part of getting rid of lice is STAYING rid of them, after all. A thorough cleaning of your home is a good thing to consider. You don’t have to clean every area of your home, but there are some areas that need special attention. Start with hairbrushes, combs, and other hair accessories. You can put them a plastic bag and then the freezer for 24 hours to kill them. Placing them in hot water can also aid in the lice removal process. Also consider cleaning any clothing, stuffed toys, or bedding. They can be put in a dryer, where the high heat will kill any lice or eggs. Furniture, carpeting, and anything else that can’t be put in a washer or dryer should be thoroughly vacuumed. Additionally, items such as large pillows and cushions can be placed in sealed plastic bags for 48 hours. Prevention is the best lice removal method. The most common way lice is spread is through direct head to head contact with an infected person,. Children are most likely to be infected. Therefore, weekly inspections of a child’s head can help detect an infestation early, making it easier to treat. Avoid sharing items that may come in contact with the head, such as hair accessories, scarves, or coats. Avoid games or other activities where one child may place their head near another child’s. This should also be applied to adults who work with children. Long hair can be kept tidy to help prevent infestations as well. Ask your child to keep their belongings isolated. This is because shared spaces can be breeding grounds for lice. Clothing or other items that have been exposed to infected individuals can be disinfected by having them outside for 48 hours. They can also be washed at 140 degrees for 30 minutes. Getting rid of head lice doesn’t have to be a huge ordeal. Our treatments are non-toxic, safe, and effective. You don’t have to go it alone and use dangerous chemicals to get the job done. Contact the pros at Fresh Heads Lice Treatment Centers. With locations in Orlando, Jacksonville, and Savannah, we will help you become lice free without using toxic pesticides.